Someone I know is having a mental health crisis, what should I do? What do I do if I have been a victim or a witness of a sexual assault? Who do I contact if I am a victim or a witness of domestic violence? Currently funded agencies can be found under Programs & Services tab on the navigation bar. Currently funded agencies are split into three categories: Mental Health Funded Agencies, Developmental Disabilities Funded Agencies, and Substance Use Disorders. Where can I access behavioral health services in Berwyn? There are many agencies that provide behavioral health services to Berwyn residents. If you have public and/or private health insurance contact member services for a list of contracted providers in network. You can also contact your primary care physician for a proper referral. You may find agencies funded by the 708 Community Mental Health Fund under Programs & Services tab on the navigation bar. Currently funded agencies are split into three categories: Mental Health Funded Agencies, Developmental Disabilities Funded Agencies, and Substance Use Disorders. I think my son has depression, how can I be sure? Learn the signs of depression at NAMI.org. Call and make an appointment with your son’s pediatrician or primary care physician for a referral to a behavioral health care specialist. Where can I find a list of private therapists in the Berwyn area? Check first with your health insurance company. Care Coordinators can help identify a needs service for you. I can not afford my anxiety medication, who can help me pay for this? Contact the Berwyn Township Public Health Department at 708-788-6600 to get information on RX Goods and/or Needy Meds. Your physician can also help you access RX at an affordable cost. Where can I locate parent support groups? The National Alliance on Mental Illness (NAMI) has parent and/or family-to-family groups that meet weekly in the Berwyn area. These groups can be found on the NAMI website. I need a home care giver for my aging parents? Berwyn residents needing assistance with their aging parents should contact Solutions for Care at 708-447-2448 or through their website. I need a Spanish therapist? Contact your primary care physician to be referred to the specialist right for you. You also may contact member’s services on the back of your insurance card. I need an appointment with a counselor? Because we do not know what type of counselor you need to see, you should contact your primary care physician to get a proper referral to a counselor. No, Berwyn Township 708 Community Mental Health Board is a funding entity. Tax dollars are distributed to local agencies providing mental health services to Berwyn Township residents. Where do I access services for my son with a Developmental Disability? In the Berwyn area, contact Suburban Access and request to register your son with the Illinois PUNS. Suburban Access can be reached at 708-799-9190. For further information visit http://www.subacc.org. PUNS is an acronym for Prioritization of Urgency of Need for Services. This is the State of Illinois; Department of Human Services: Division of Developmental Disabilities’ waitlist for funding intellectual/developmental disabilities. You can learn more about PUNS here. My 2 year old niece is still not talking, where can I get help for her? A referral to Early Intervention may be needed. 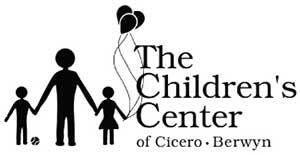 The Suburban Access (Child & Family Connections) in Westchester serves Berwyn Residents. Anyone may make a referral. The telephone number is 708-449-0625. Can I place my 2 year old niece on the PUNS list? Early Intervention is who you contact for services for a 0-3 year old. Children over 3 years of age should contact Suburban Access for services and to be placed on the PUNS list. Click here for the Suburban Access website. Read more about PUNS here.